Chronicling a production rife with conflicts�from drug addiction and power struggles to sexuality and weight issues�this behind-the-scenes history of the rarely seen Brady Bunch Variety Hour investigates how the show was conceived, produced, and ended up ranked one of the �Worst Shows of All-Time.� Featuring hundreds of never-before-published photos and interviews with cast, crew, and production staff, this colorful retrospective details how the spin-off ultimately shattered the Brady�s perfect image and forever scarred their television legacy. After decades under lock and key, the story behind the most disastrous offering in television history is revealed in full Brady detail. 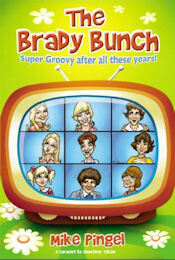 The Brady Bunch: Super Groovy After All These Years! 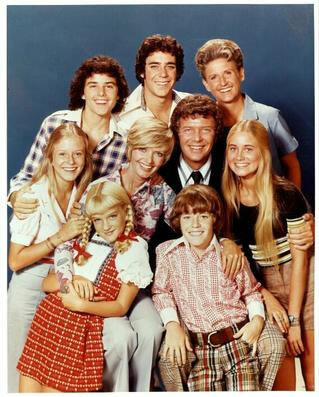 It was 40 years ago when The Brady Bunch family hit the airwaves and is still being shown all around the world today. The Brady Bunch was the story of a widow with three girls who married a widower with three boys, who lived under one roof and solved life's problems within 24 minutes! Author Mike Pingel's new book shares the history, fun facts, full episode guide and interviews with actors, Ann B. Davis, Susan Olsen, Robbie Rist, Geri Reischl and producers, Sherwood Schwartz, Loyd Schwartz, plus so much more. Brady Bunch fan Charlene Tilton ("Dallas") has penned the foreword. The children ranged in age from 7 to 14 at the series' start, and the oldest son, Greg, played by Barry Williams, soon became something of a teenage idol; he was receiving 6,500 fan letters per week during 1971. Barry and several of the others tried to parlay their TV success into recording careers in the early 1970s, but without notable success. Reruns of The Brady Bunch were aired as part of ABC's weekday daytime lineup from July 1973 to August 1975, and an animated spinoff titled The Brady Kids ran Saturday mornings on ABC from September 1972 to August 1974. 464 girls and boys were interviewed by producer Sherwood Schwartz to find the Brady kids. 'Reed, Robert' was written out of the final episode because he refused to appear in it. It was no secret that Reed hated his role of Mike Brady and it was not the only time he was written out of an episode. The theme song during the first season, unlike subsequent seasons, was not sung by the Brady kids, but by a group known as The Peppermint Trolley Company. We saw the Brady's bathroom many times, but not once did we see a toilet. The popular joke was that the Bradys are so good, clean, and wholesome that didn't even go to the bathroom. The truth is, they had intended putting a toilet in the bathroom, but the network censors wouldn't them. Tiger, the Bradys' dog disappeared after the second season of the show. In reality, Tiger ran away and supposedly got hit by a car. The reason the dog house remained was because one of the studio lights fell and burned a hole in their beloved Astro-turf, so they moved the dog house to cover up the burn hole. Joyce Bulifant was the original choice for the role of Carol Brady. The Brady kids attended Westdale High School, Filmore Junior High and Clinton Elementary School. The Brady's next door neighbors, the Ditmeyers, were talked about, but only Mr. Ditmeyer was seen on one occasion. The girls originally had a cat named Fluffy, but it was only seen in the pilot. The cat was gone by the time the second episode aired. Originally, both Mike and Carol were going to be divorcees. However, when the concept was announced, A.B.C. was very much against it. It was then decided to make Mike a widower and leave Carol the divorcee. Carol's last name from her previous marriage was Martin. Even though Greg dated a lot, you never actually saw him kiss any of the girls he went out with. The only Brady kid to have a kissing scene was Bobby. The Bradys all drove Chrylser Corporation vehicles (until the final season). Mike Brady drove a 1968 Dodge Polara convertible in the pilot; a 1969 Plymouth Fury III in years one and two; a 1971 Plymouth Barracuda convertible in year three; a 1972 Plymouth Barracuda convertible in year four (actually, a modified 1971 model), and a 1973 Chevrolet Caprice convertible in year five. Carol, on the other hand, drove only two vehicles: a 1970 Plymouth Satellite wagon, and a 1971 Plymouth Satellite wagon (which took the "bunch" on their infamous Grand Canyon trip). The vehicles were loaned to Paramount by the Chrysler Corporation for filming. Incidentally, the 1969 Plymouth Fury III convertible that "Mike Brady" drove was recently restored to showroom condition. The house used for exterior shots, which was normally seen at the beginning of every episode, was located in North Hollywood, California. Since the series ended, the owners of the home have erected an iron fence, let heavy shrubbery grow to cover much of the front, and have suffered numerous trespassers. They also refused to let producers use the home for exterior shots in the subsequent films in the 1990s. 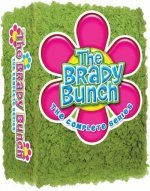 Order these new Brady Bunch related videos today! The Brady Bunch Home Movies (which aired on CBS only once on May 24, 1995) is filled with great home movie clips from the cast members' own libraries as well as recent interviews with the majority of the cast. During the first year on the show, Robert Reed (Mike Brady) gave each cast member a Super 8 camera. He also took the children to England and New York during the show's hiatus. Some of the footage on The Brady Bunch Home Movies came from those private trip. The Brady Bunch Hour premiered on November 28, 1978 as an ABC special and was produced by the winning team of Sid and Marty Krofft. The ratings were phenomenal with an audience of over 15 million. As a result, the show was picked up for an additional eight episodes. The first episode reported an audience of over 14 million people. The cast included Robert Reed, Florence Henderson, Maureen McCormick, Barry Williams, Chris Knight, Mike Lookinland, Susan Olsen and Geri Reischl as "the fake Jan." Reischl was the only non-original Brady member to ever play a family member which was memorialized some 20 years later in a Simpson episode, The Simpsons Family Smile-Time Variety Hour. 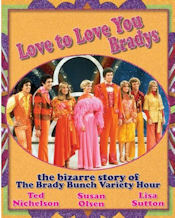 The Brady Bunch Hour Volume 1 is the pilot episode of the show. Guests include Donny & Marie Osmond and Tony Randall. Also appearing in this episode are Ann B. Davis, The Kroffettes and a Busby Berkley take-off with the Water Follies. The episode is filled with great musical numbers from the '70s including Dance With Me, The Hustle and Shake Your Booty. The Brady Bunch Hour Volume 2 aired in 1977 with guests Vincent Price, H.R. Pufnstuf and Rip Taylor. 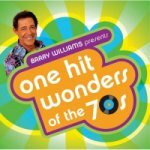 Filled with fun skits and interesting musical numbers, 2 is filled with '70s songs such as All By Myself, You Make Me So Very Happy and Time in a Bottle. In the pilot episode, "The Honeymoon", Carol (and her 3 daughters) marries Mike Brady (and his 3 sons). The battle of boys against girls begins in classic Brady Bunch style! In the second episode, "A Camping We Will Go", the Brady boys are not exactly happy when their dad invites Carol and the girls on their annual camping trip. The boys do everything in their power to ensure that the girls will never want to go camping again! Cindy turns into a Tattletale & Bobby becomes safety monitor. Jan buys a black haired wig, & Jan is jealous of Marcia (again). Marcia gets Davy Jones for her school prom & Marcia gets hit by a football in the nose. This IS a romp down memory lane. Jack Wild, and the cast of the Sid & Marty Kroft shot "H.R. Pufnstuf" trot around on stage at the Hollywood bowl in front of a live audience. Avid Pufnstuf fans will see why the cherubic young Jack Wild's popularity fell after his voice changed - he was much better in 'Robin Hood: Prince of Thieves' as an adult. As added guests, the Brady Bunch kids sing and dance through some 'musical numbers' - "Proud Mary" is not to be missed. Also, the characters from "Lidsville" (another Krofft show), and Johnny Whitaker from "Sigmund and the Sea Monsters" make appearances. Look very carefully at the audience, and you can spot Ann B. Davis, and who is that man in drag sitting with Robert Reed?! This video (released by Rhino) is a hoot! The thing is, while this program was played ad nauseum on TV during the past ten holiday seasons, it was pretty much nowhere to be found during 1999, necessitating the purchase of a copy. In short, I know "A Very Brady Christmas" has become required viewing during MY Christmas season, and if you liked The Brady Bunch at all, it will likely become part of yours as well. The big-screen version of the hugely popular, 1970s television sitcom takes an original angle: instead of simply recreating the old series, the film spoofs it by presenting the merged family as blithely unaware that fashions and customs have changed in the '90s. Shelley Long and Gary Cole are hilarious as the ultra-square yet libidinous Mr. and Mrs. Brady, Christopher Daniel Barnes is an ideal Greg, and Christine Taylor seems practically cloned from the original Marcia. But director Betty Thomas (Private Parts) shifts the emphasis away from comparisons between old and new Bradys and concentrates on quasi-surreal parodies and set pieces featuring the Brady kids doing their spirited, singing thing for a disbelieving public. Smart, sharp, and happy to share its conspiratorial mood with an appreciative audience, The Brady Bunch Movie is a kick. With a better script than the first BRADY movie, this silly/funny follow-up has the '70s time-warp family thrown asunder when a man claiming to be Carol's first husband shows up. Further problems arise when Greg and Marsha share the attic space and find themselves unsettlingly attracted to one another! Full of the same double-entendre sexual gags as the first film, along with some wonderful musical moments and a handful of familiar faces in gag cameos. Re issue of the best selling 1992 book. This is a special collectors edition featuring a new look and 5 new chapters updating the last 8 years including the death of Robert Reed, an updated "Where Are They Now" of all the "Brady's" and so on. It is an indepth, behind the scenes look at Americas favorite TV family written by the eldest "Brady" kid, Greg (Barry Williams). Can it really be 25 years since ABC first aired Episode One of The Brady Bunch? Elizabeth Moran's account of the "World According to Brady" features updated cast biographies, never-before-published photos, and the latest on the new Brady Bunch movie, due this Christmas from Paramount. An informative guide to one of the most lovable families in television history is jam-packed with fun tidbits about The Brady Bunch series, behind-the-scene romances, and exclusive biographies and filmographies of the stars. Rob Owen's Gen X TV: The Brady Bunch to Melrose Place is a wealth of information about all of the television series that provided so much of American popular culture. Gen X TV features behind-the-scenes interviews with producers of many of these program, show states of all the major programs targeted for Gen Xers, photos of of the actors, internet newsgroups and websites dedicated to television in general and these television series in particular. Beverly Hills 90210, Living Single, My So-Called Life, The Simpsons, Friends, The X-Files, Party of Five, are just a few of the hundreds of shows that have shaped the ideas and ideals of an entire generation. Emmy Award winning actress Ann B. Davis--who captured America's heart as "Alice" on "The Brady Bunch"--presents a cookbook and memory book for the show's millions of fans. "Alice" presents more than 280 Brady recipes, anecdotes from memorable episodes, plus dozens of photos provided by the cast. 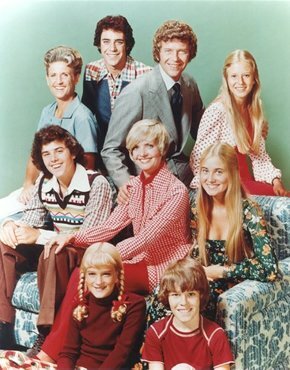 Sure, they weren't as musically talented as the Jackson Five or the Osmonds, but these six TV siblings were just as popular in the early 1970s because of their weekly sitcom, "The Brady Bunch." This excellent 20-track CD contains most of the songs performed by the kids, and though none of their singles ever hit the pop charts, their songs have become popular via reruns, reunions, and two hit movies (the songs "Time to Change" and "It's a Sunshine Day," in particular, have become cult--or camp--classics, depending on your view of the show). The Bradys were never hailed as great singers, though Barry Williams (Greg) and Maureen McCormick (Marcia) handle their vocal chores fairly well, as does Florence Henderson, who croons solo on one track. One sticking point is the omission of two songs that appear on the show, but not on the CD: "You've Got to Be in Love To Love a Love Song" and "Good Time Music," but the liner notes reveal that neither song was ever released, and thus do not appear on any Brady Bunch recording. Nonetheless, this collection is an ideal choice for Brady fans. I can't tell you how long I have been waiting for this CD. I saw a story of it on The Daily Show and just had to purchase it. Since yesterday, it has been playing non-stop on my stereo. Even though my dog now walks around the house and yelps all day, this small discomfort is worth all the great and many treasures found within "The Return of Johnny Bravo." 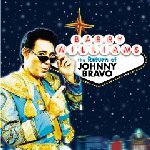 An eclectic mix of old and new material, Barry manages to provide a timely and poignant synthesis of the music of the past thirty years. What other CD combines songs by The Turtles, Queen, and Billy Vera? It's a godsend. Instead of buying all the originals, I can now have them all on one CD by the great Johnny Bravo. Thank you, Barry. Thank you. I guess we'll be seeing you at the Grammies. Stop laughing! Not only did they make the movie--it was a hit! The same can't be said for the companion album, though, whose only chart hits are prior smashes by Venus ("Shocking Blue") and RuPaul ("Supermodel (You Better Work)"). For kitsch lovers, this set includes the original Brady cast's "It's a Sunshine Day" as well as cute Monkee Davy Jones serenading Marcia with "Girl." And, of course, there's the Brady Bunch theme, which you can hear at least three times a day on cable. visitors since this page was established on March 3rd, 2000.